How do I add an email to my student's account? Students can be emailed directly when a new task or homework assignment has been set to complete, to ensure all students know about the task. This is also a great way to keep parents and caregivers up to date with assignments that are due for their child. There are two ways to enter or update student email information. The first option to update the information is to navigate to the Manage Accounts tab at the top of your Control Panel. Navigate to the All Classes section of the page and select the appropriate class. On the right-hand side, you can enter the details under the Email Address column. To update the email address, select the student's name and update the email address from the pop-up screen. Select the green check mark to save your change. To notify students of an upcoming task or assessment, tick the corresponding box under Optional Settings when creating the task or assessment. This means that students will receive the email notification. 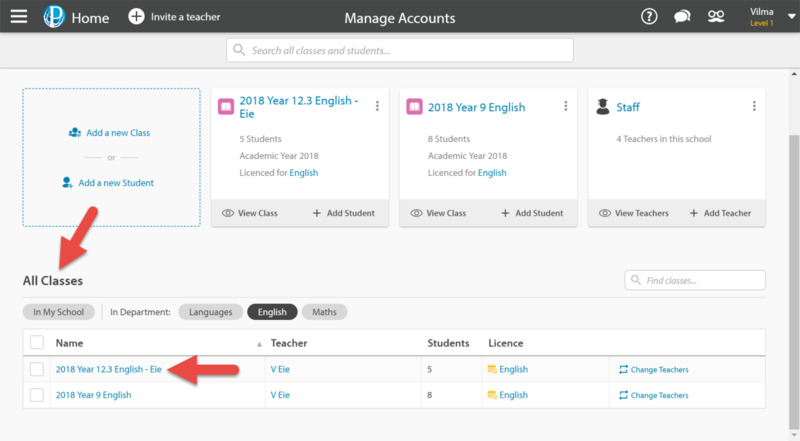 There is another option to update student email addresses in the Tasks & Homework section of your Control Panel. 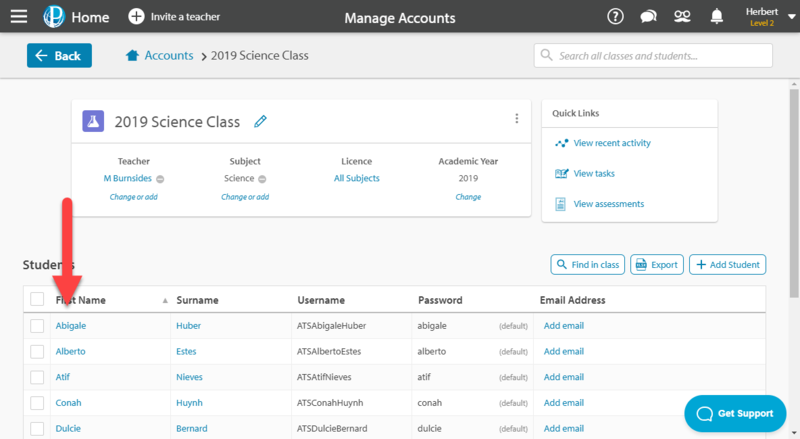 In the Get Started section of any active tasks, there's an option to email students a reminder of their task as well as an option to update their email address. This can be found near the bottom of the page. Select Add email, enter the email address and select the green check button to confirm. Parents and caregivers can often be eager to find out how their children are doing in school. When students are emailed about a new task, reminded about an overdue task, or their assessment results are released, parents and caregivers can be sent a copy of the same email as well. 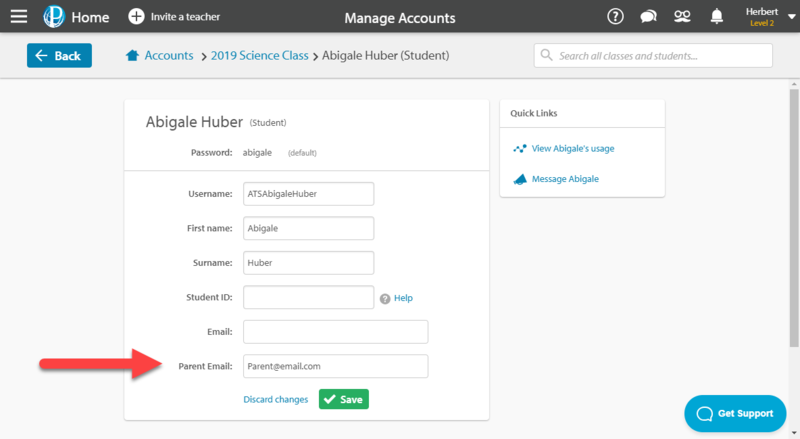 To add a parent's email address to a student's account, click on the name of the student. Enter the parent's email in the Parent Email field and then click Save to confirm. For more information on how to send parents email notifications to parents, you can read through our article How can parents and caregivers get updates on their students' progress?